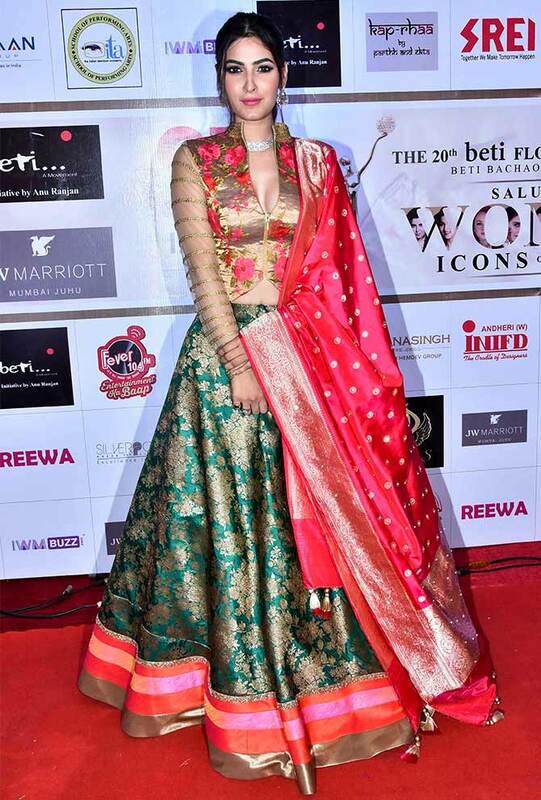 Rediff.com » Movies » Like what Bhumi is wearing? 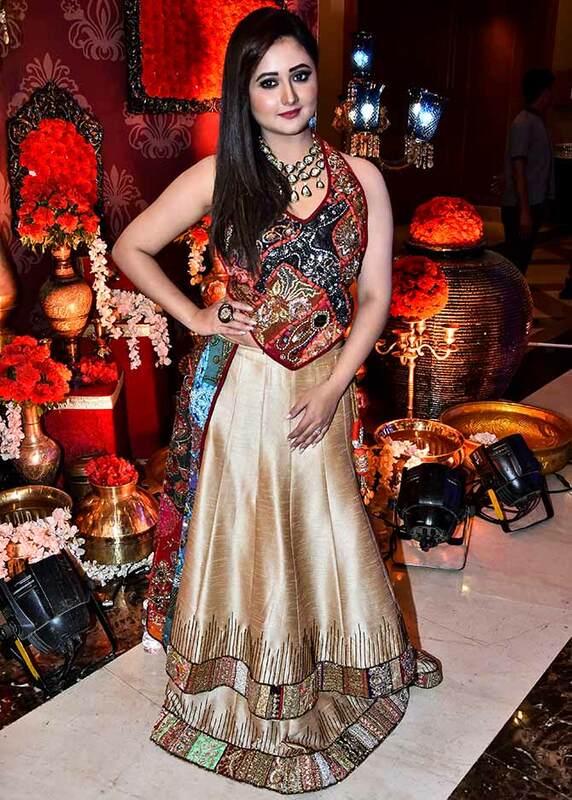 Like what Bhumi is wearing? 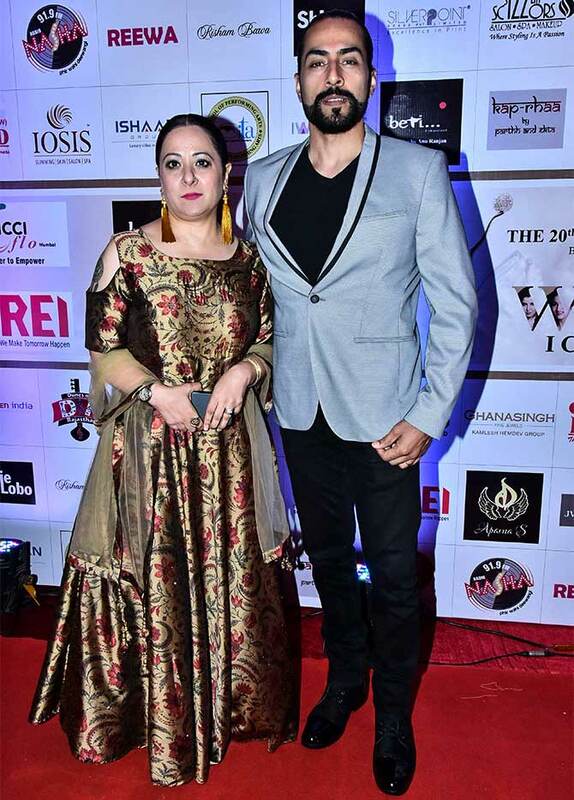 The stars get together for an evening of awards. 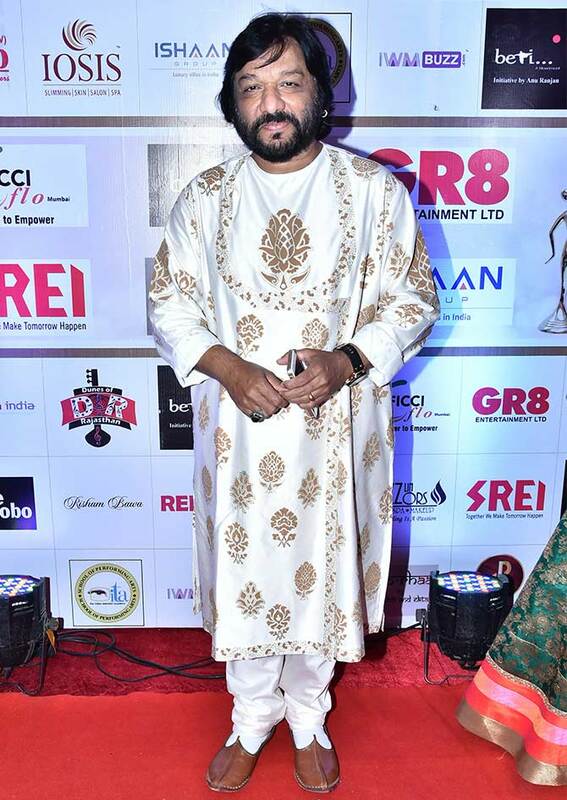 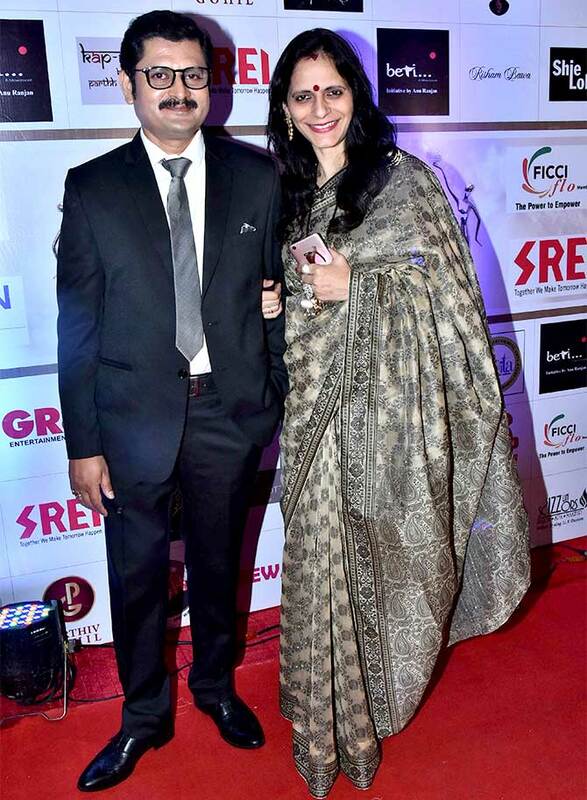 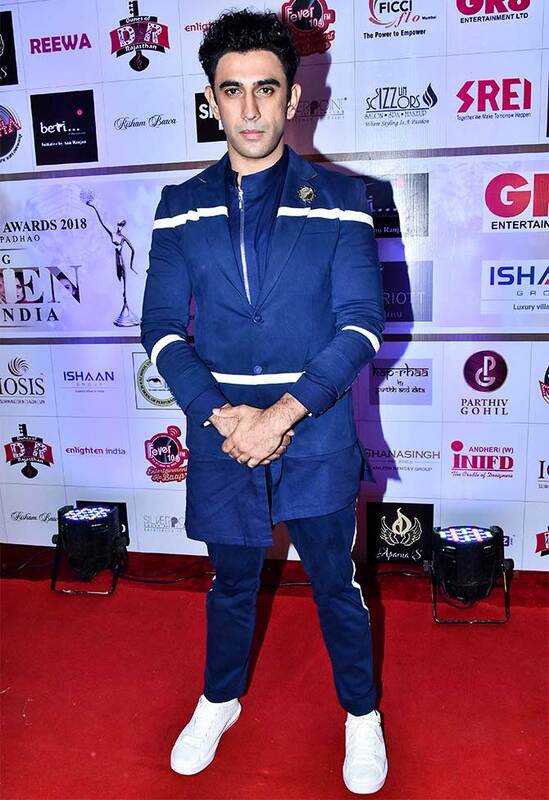 The 20th Beti Flo Gr8 awards, conceived by Anu Ranjan, founder of the NGO Beti, was held in Mumbai. 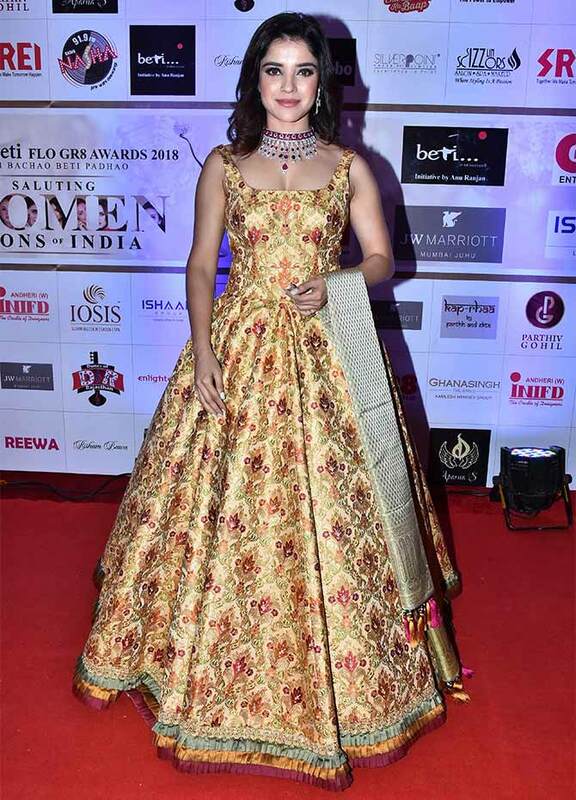 Women achievers were saluted for their contributions. 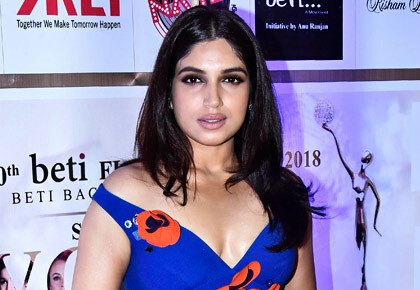 Bhumi Pednekar, always amazing on the red carpet. 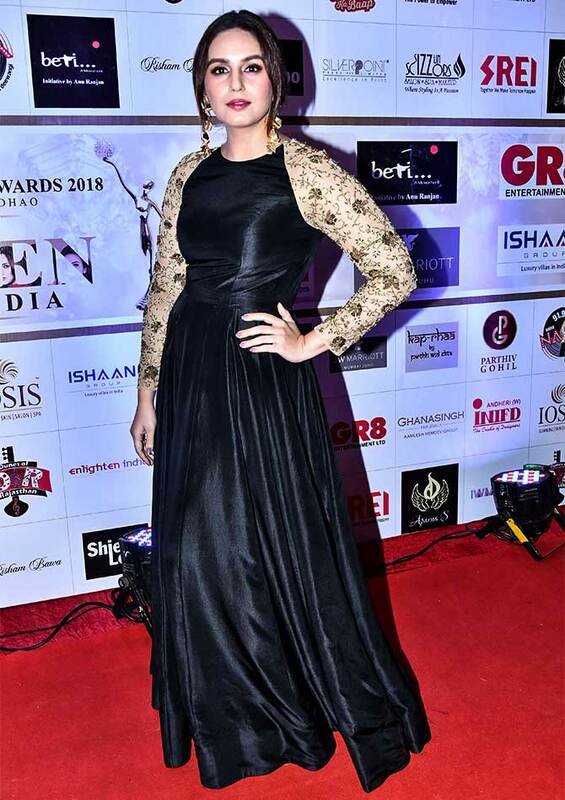 Huma Qureshi bags a Gr8 honour for Cinema. 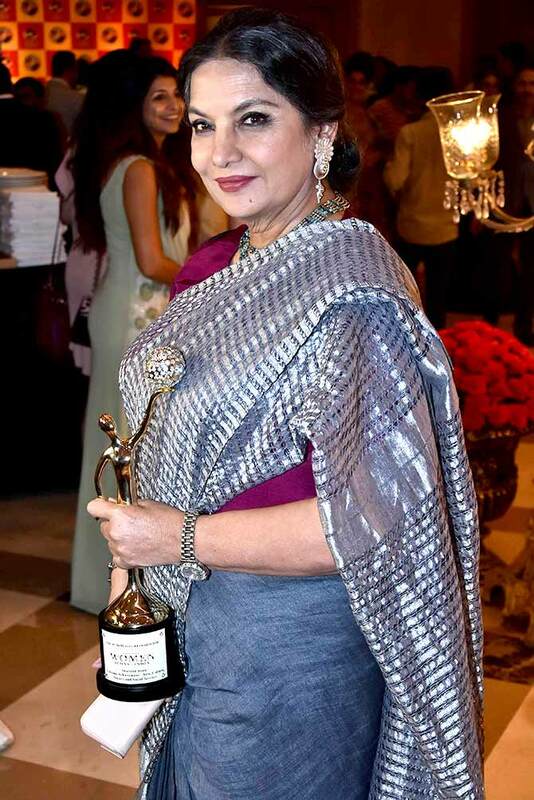 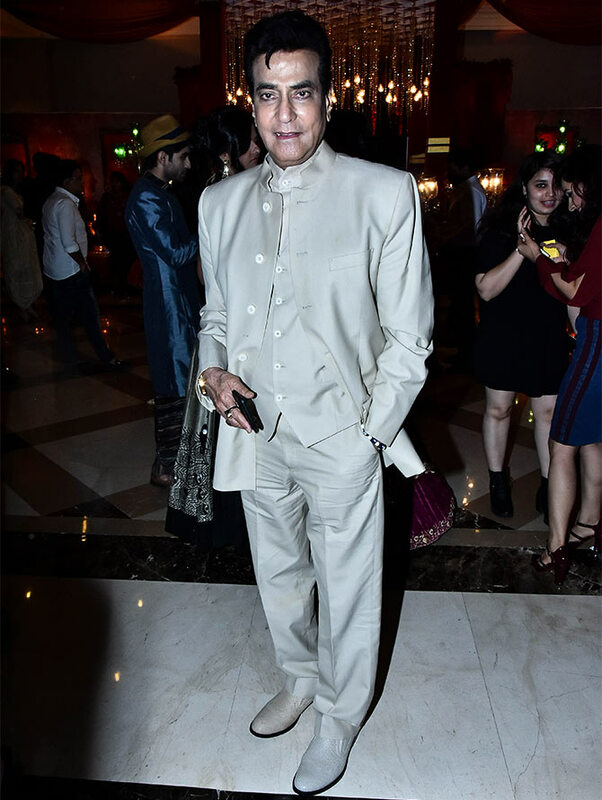 Shabana Azmi was presented the Lifetime Achievement Award for Arts, Culture, Society and Social Services. 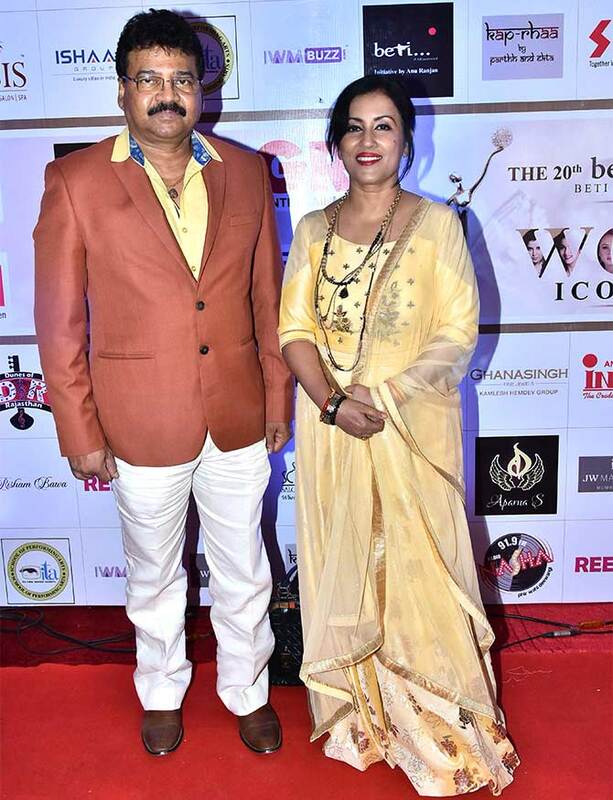 Madhushree with husband Robbie Badal. 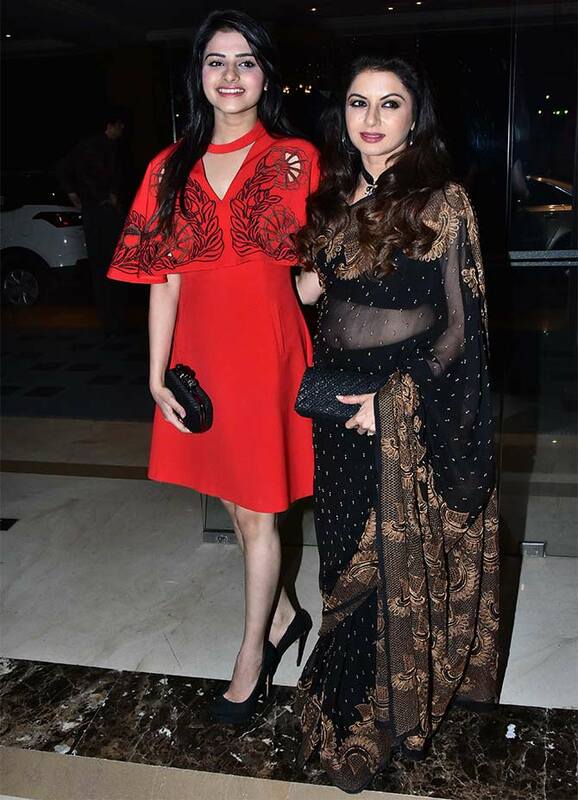 Bhagyashree with her daughter Avantika Dasani. 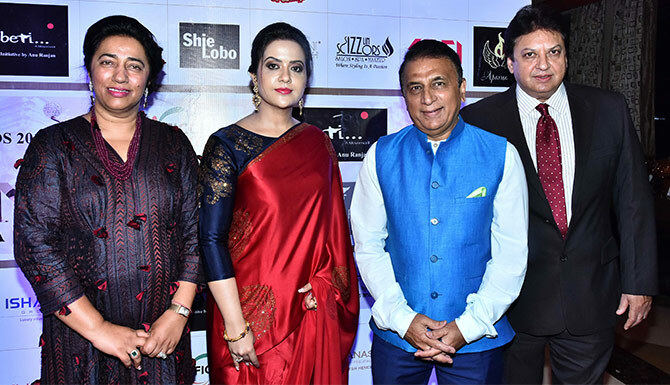 Anu and Shashi Ranjan with Amruta Fadnavis, the Maharashtra chief minister's wife, and cricket legend Sunil Gavaskar. 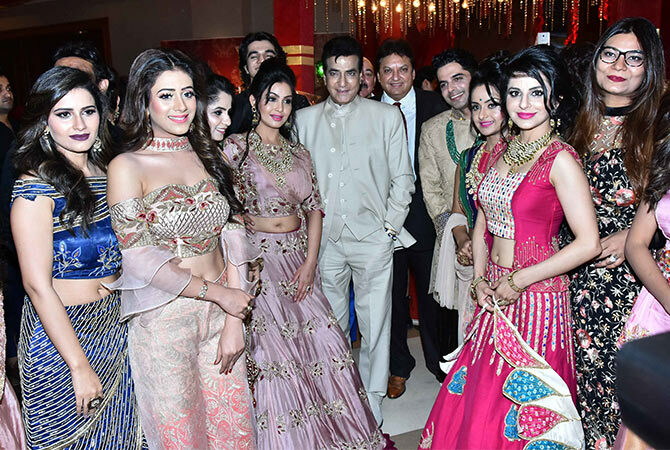 Jeetendra with a bevy of telly stars.